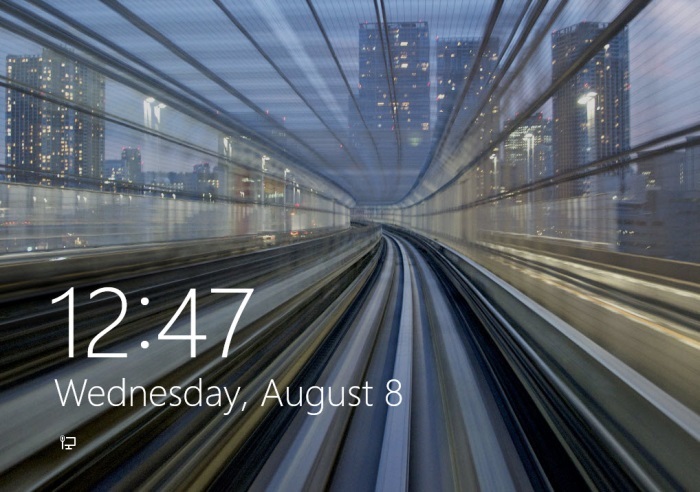 If you’re using Windows 8 and frequently lock your machine, you’ll have come across the lock screen which you can either drag up with your mouse or press any button on the keyboard to lift. Now whilst this looks fairly slick it takes around second or so after the initial key press for it to start registering your password entry, if you’re fairly quick at typing this can equate to 3-4 key presses. This has been annoying me for a little while as I continue to bash in my password to only realise it’s missed out the first few characters. So here’s how to disable it. Tap the winkey and type gpedit.msc and press enter. 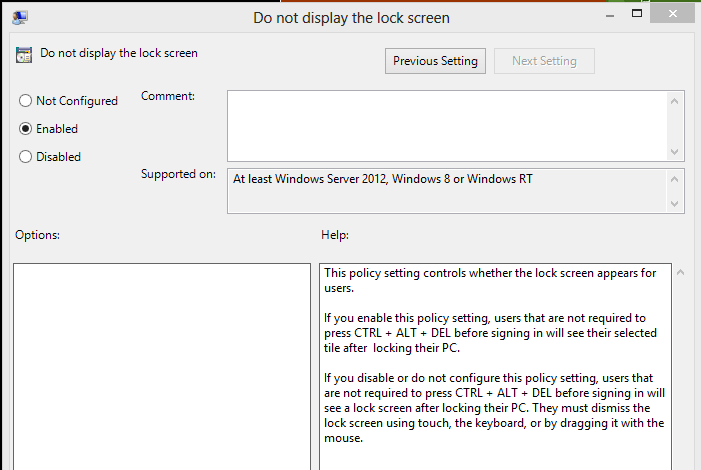 Browse to Computer Configuration > Administrative Templates > Control Panel > Personalization > Do not display the lock screen. 3 year on, and still a problem on Windows 10! I was logging on blind before the monitor had even woken up properly. It always took 2 attempts. Now I can login first time.